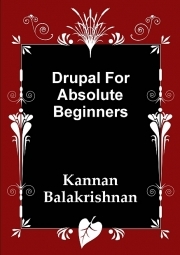 Description of "Drupal For Absolute Beginners"
Drupal is one of the most popular open source content management systems. This book takes you step by step into installing and maintaining a website using Drupal.Mainly intended for first time users of Drupal,this book will be helpful for anyone using Drupal. Reviews of "Drupal For Absolute Beginners"